We love it when we hear from old friends! 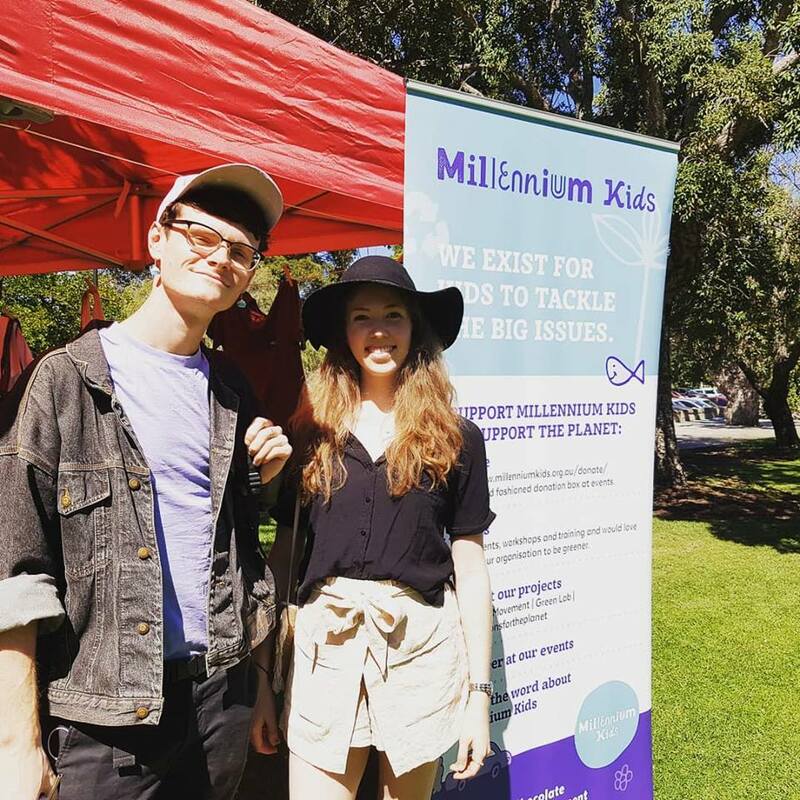 It was so great to see you again today at the UWA Envirofest and I am so impressed and thrilled that Millennium Kids is still alive! Like I mentioned today, I was a Millennium Kid through the Penrhos school program when I was in year 5 (so 10 years old). That program and the other sustainability activities we did in that class taught me how important it is to look after the Earth and inspired me from an early age to be more sustainably minded! I now love spreading the word about healthy, eco-friendly living through my work at Urban Revolution Australia and am studying mechanical engineering at Curtin University with the dream of working in the renewable energy industry. I am also living a very low-waste lifestyle (the dream is to be completely zero waste!) and eat completely plant-based. I love my eco-friendly lifestyle and am really passionate about it. I really do believe that those programs and activities as a kid inspired this love for the Earth in me so THANK YOU for keeping Millennium Kids going and inspiring even more kids! Happy to chat any time. https://www.millenniumkids.com.au/wp-content/uploads/2019/03/55680087_2426760387335266_448892720304357376_n.jpg 960 960 admin https://www.millenniumkids.com.au/wp-content/uploads/2018/06/Millennium-Kids-banner-logo.png admin2019-03-28 10:55:502019-03-28 10:55:50We love it when we hear from old friends!